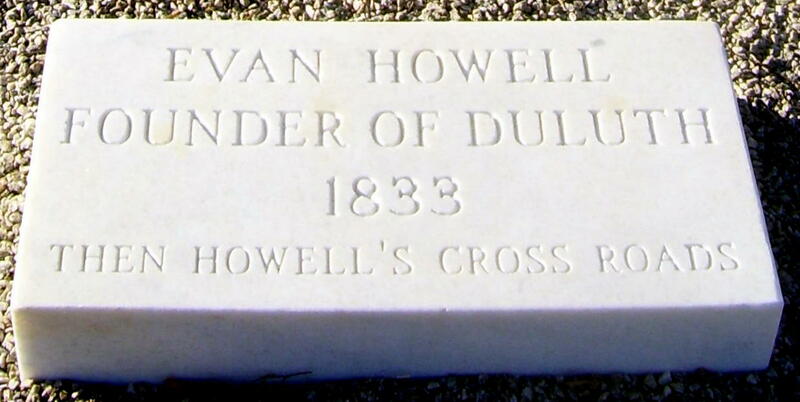 Evan Howell came to the area now known as Duluth, Georgia in 1821 from North Carolina. At that time, there was only one road opened in the section. This was the Peachtree Road, an offshoot of an old Indian trail that ran along the bridge south of the Chattahoochee River. Mr. Howell realized that more roads were needed in order for the area to develop, so he obtained permission in February 1833 to construct a road from the Chattahoochee River across his land to intersect Peachtree Road. This intersection became known as Howell's Cross Roads and was know by this name for 40 years. It evolved into a major artery for the railroad. In 1873, Evan Howell's grandson, Evan P. Howell, saw an opportunity to build and link a U.S. railway system from North to South. After Rep. J. Proctor Knott made a pitch to Congress, a bill was passed to finance a railroad from Howell's Cross Roads in Georgia to Duluth, Minnesota. 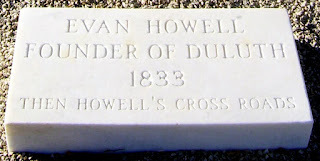 Evan P. Howell decided it was appropriate to change the name of Howell's Cross Roads to Duluth. 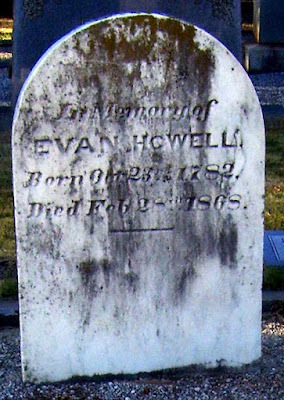 Grave markers for Evan Howell and several of his children and grandchildren are found in Duluth Baptist Church Cemetery. I have not researched this, but I think the cemetery is located on lands originally belonging to Evan Howell, founder of Howell's Cross Roads. A devoted wife and an affectionate mother. Weep not for, Lo! another gem Christ in His crown hath set. And brilliant in that diadem shines her you now regret. Mother of Evan Park Howell who was owner and editor of Atlanta Constitution 1876 - 1897, State Senator and Mayor of Atlanta. He gave Duluth its name in 1871. Laura E. Howell (1851-1895) & husband William E. Jones (1846-1919). Laura was a daughter of Singleton G. Howell. 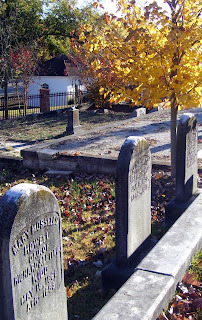 Mary, Harry, and Frank Howell. 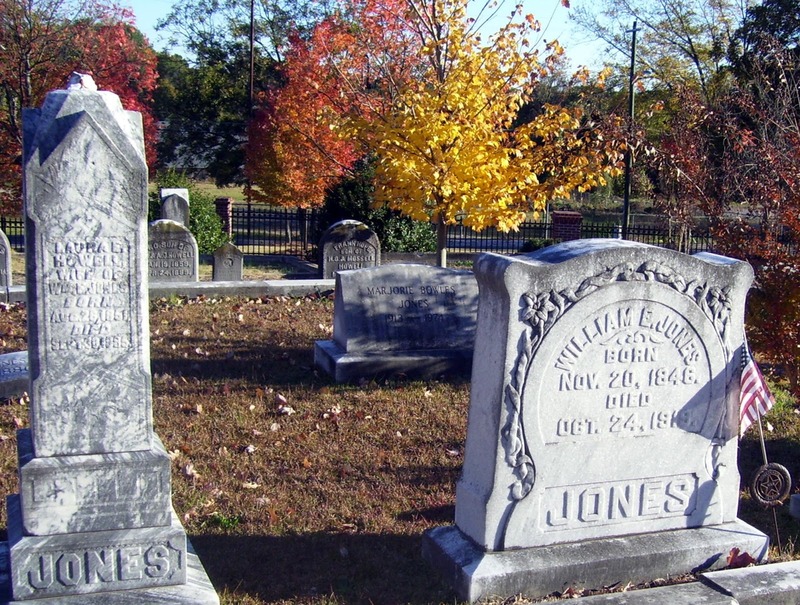 Mary Mossells (1860-1899), daughter of Richard and Letitia Kidd, married Harry O. Howell (1859-1889) in Gwinnett County, GA 2 October 1878. 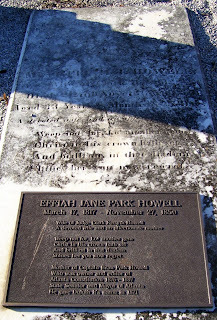 Frank Hope Howell (1884-1919) was their son. 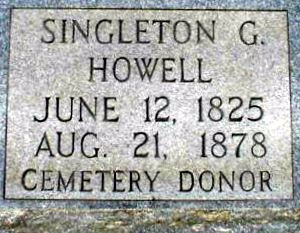 Harry was a son of Singleton G. Howell. Harry lost his life in the line of duty as a fireman per the 2 May 1889 edition of the Marietta Journal: "The walls of the Jackson building in Atlanta fell on Wednesday afternoon of last week and killed fireman Harry O. Howell and W. P. Leach, and wounding fireman Driscoll..."
All photos © 2010 S. Lincecum. A Pair of Infant Shoes, Times Two!